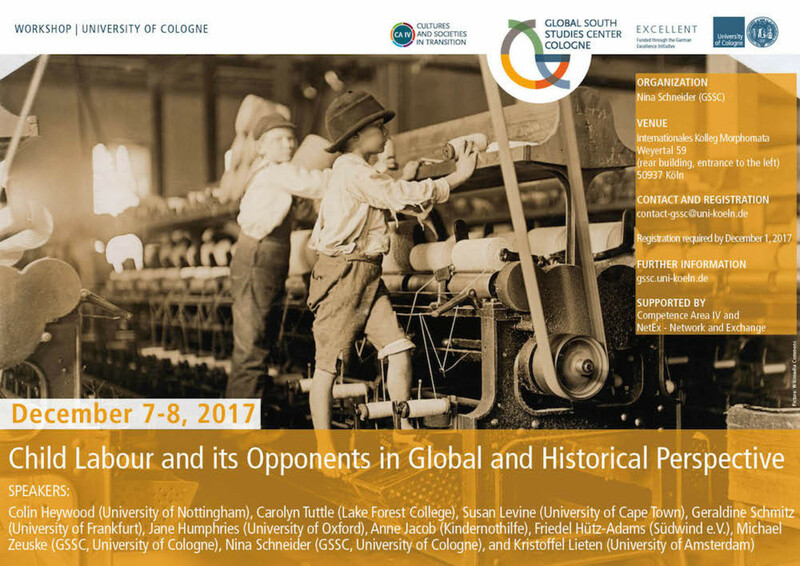 This international workshop unites leading experts from different world regions to discuss child labour and its opponents from a global and historical perspective. While much of the literature approaches child labour from a national and predominantly contemporary perspective, it seeks to discuss past and present child labour from a global view including less-studied histories of the so-called Global South. 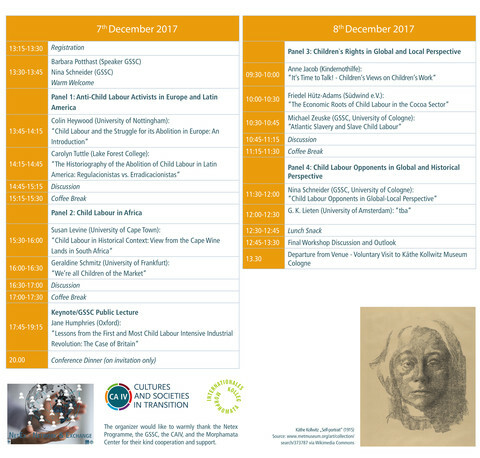 Providing a platform for new research findings, the workshop aims to enrich our empirical and methodological knowledge on the history and presence of child labour from a global perspective.